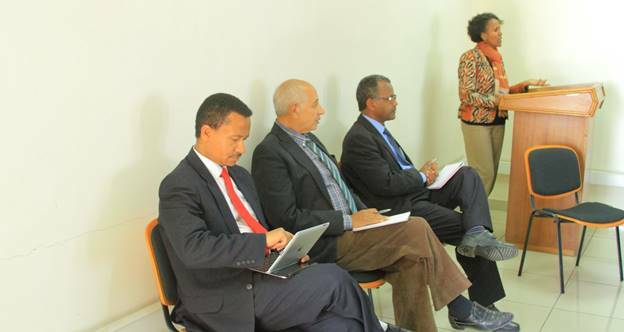 Seminar on “Possible Government Accreditation of Theological Education in Ethiopia”. A full day seminar on “Possible Government Accreditation of Theological Education in Ethiopia” deliberated and proposed way forward for further discussions. The seminar, organized by EGST on the 30th of November, 2018 was attended by the leaders of Ethiopian evangelical theological institutions, media and invited guests. In his welcome address to the participants, EGST Director Rev. 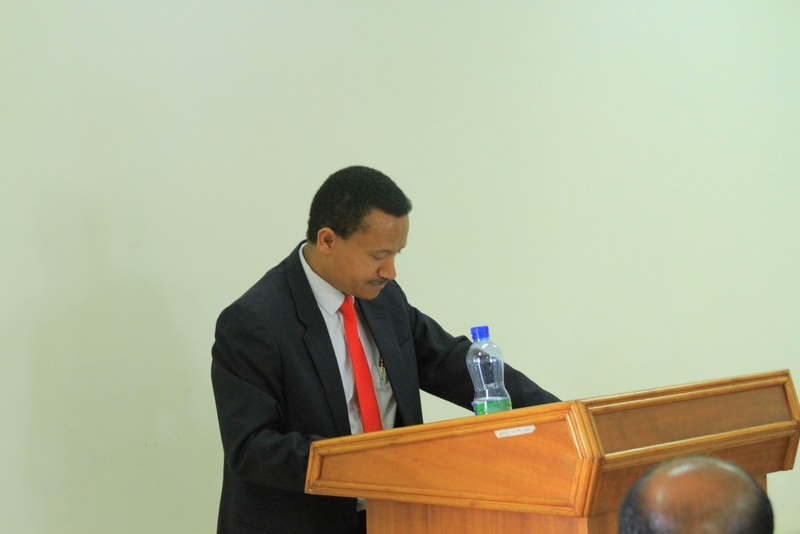 Dr. Misgana Mathewos indicated that Theological Institutions in Ethiopia faced the challenges of partiality, segregation, and marginalization over the past years because of Marxist ideology, misconceptions by politicians and educational experts. Furthermore, he explained on the fact that Theological Institutions do not receive just treatment in government offices including Ministry of Customs and Revenue, Ministry of Education and other governmental structures. According to the Director, this type of workshop is helpful in bringing the issues to the attention of the current administration and bridge the gap. Moreover, he noted that the current change and openness for reform from the government necessitates us to speak out on the issue, the Director underlined. Among the three paper presenters, Dr. Fasil Nahom, member of the Constitutional Council reflected on the absolute supremacy of the Constitution of the Federal Democratic Republic of Ethiopia as the final law of the land in relation to the separation of state and religion. He pointed out that challenges exist on the lack of Guiding Principles and interpretation of the law concerning accreditation of theological education. As a way forward, Dr. Fasil proposed two major points for ongoing dialogue with the Ethiopian government under the fast-moving political system which might respond to accreditation issues, and advised religious Educational Institutions to come together and evaluate their own accreditation systems which helps the government to delegate and oversee them with standards and quality matters. The second paper by Dr. Desta Heliso on the relevance of the study of Religion and Theology in the Ethiopian educational system recalled that religion is at the heart of Ethiopian history and unity by which the Orthodox, Catholic and Protestant churches kept the landscape of the country as an island of Christianity. Dr. Desta discussed the experiences of different countries where theological institutions have the accreditation from the government and shade light on the Ethiopian adoption of a different approach. 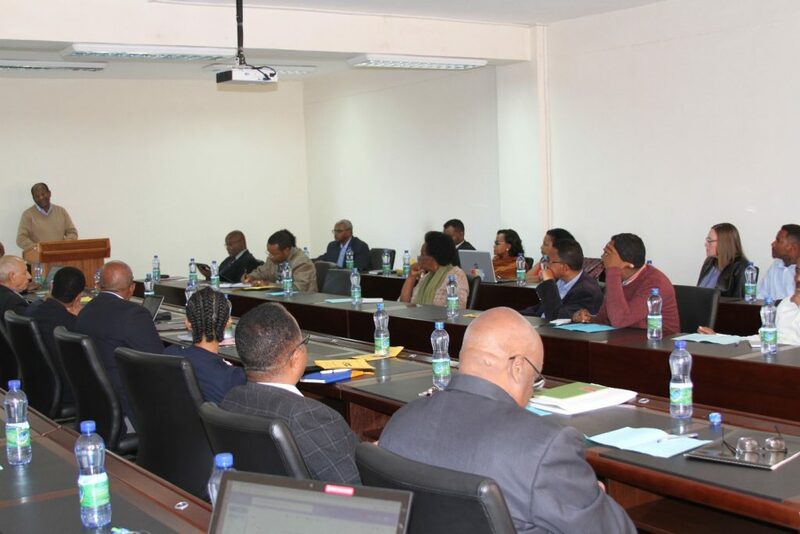 He indicated that the fear of the Ethiopian government on religious controversies and conflicts among different spiritual groups competing for their own purposes and the misinterpretation of the Constitution has locked the dialogue on accreditation. 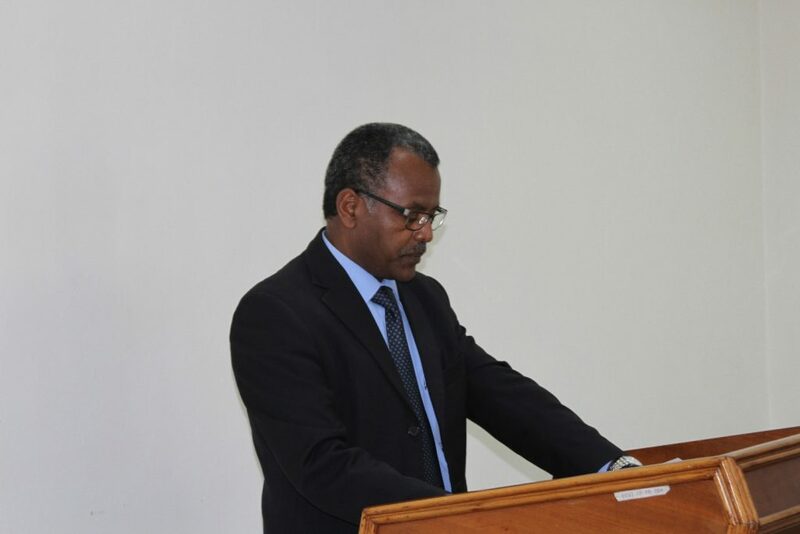 In his final remark, Dr. Desta stated four reasons for the government accreditation of Theological Education mainly the fact that Judeo-Christian history governs societal issues more than other forces in Ethiopian history; Ethiopia is deeply religious nation with 97% estimated to be adherents of one or another tradition which needs to be studied and understood to avoid religious misconception; and better understanding of religions can only be understood by researching Holy Scriptures where theological disciplines such as public theology can help for self-discipline and justice; ecumenicalism and interfaith dialogue. He also cautioned that since Ethiopia’s fate depends on the fusion of ethnic and religious issues the study of Religious and Theological disciplines can be one solution to tackle radical views who aggravate both the Christian, Islam and other religious groups for their own agendas. Dr. Lidetu Alemu, EGST faculty discussing Equity for Christian Education in Ethiopia explained Theoretical frameworks which can guide the accreditation of Christian Theological Institutions. 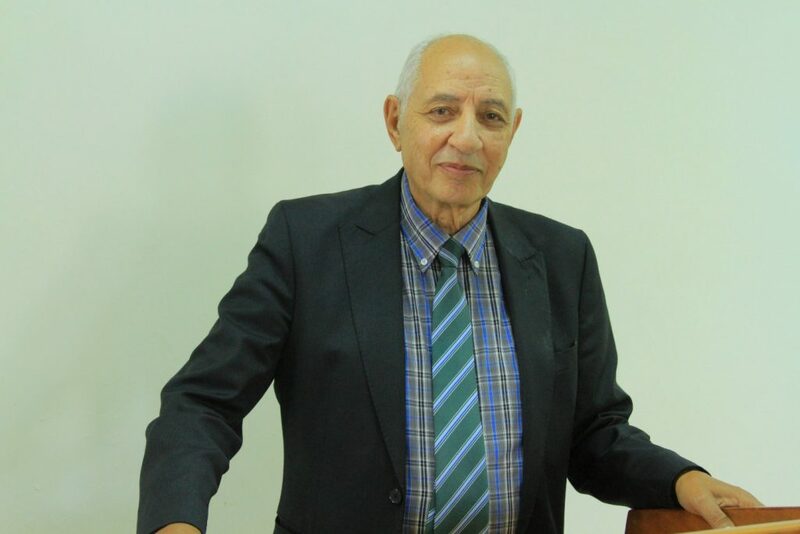 In his conclusion for accrediting Christian Theological Institutions (CTIs) in Ethiopia with equity and excellence, Dr Lidetu proposed to ensure inclusiveness and diversity of theological institutions, to facilitate interdisciplinary studies with Theology and its uniqueness for ministry, to draw lessons from global experiences and educational history to consider CTIs in Ethiopia’s educational system where Orthodox, Catholic, Protestant theological institutions contribute for the education of the nation in general. The seminar was started by devotional reading from the book of Philippians and prayer where Ato Niguse Bulcha stressed the importance of being single-minded with a focused vision. Based on the life of the Apostle Paul, Ato Niguse urged participants towards persisting to purposeful ministry and purpose-driven institutions.